The sweat, the time and the devotion. It will all pay off! 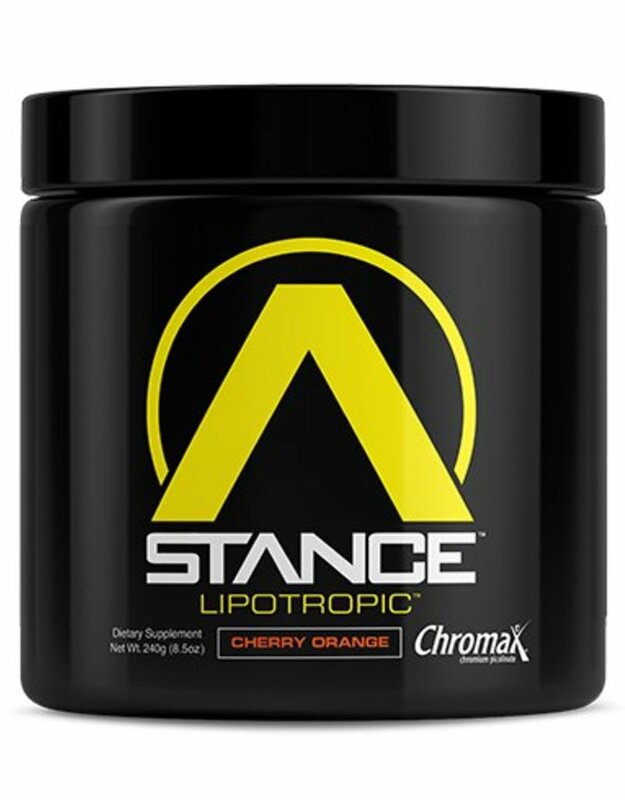 Whether you sip it solo or stack it with your favorite pre-workout or thermogenic, let this stimulant-free, pre-cardio, metabolic formula take your cardio game to new heights! 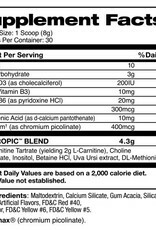 In addition to other sought-after metabolic ingredients found in LIPOTROPIC™, 1 serving also yields human studied dosages of L-Carnitine (as tartrate) and Chromium Polynicotinate. Try LIPOTROPIC™ 30 minutes before your next cardio session and get ready to sweat! You will not be disappointed! 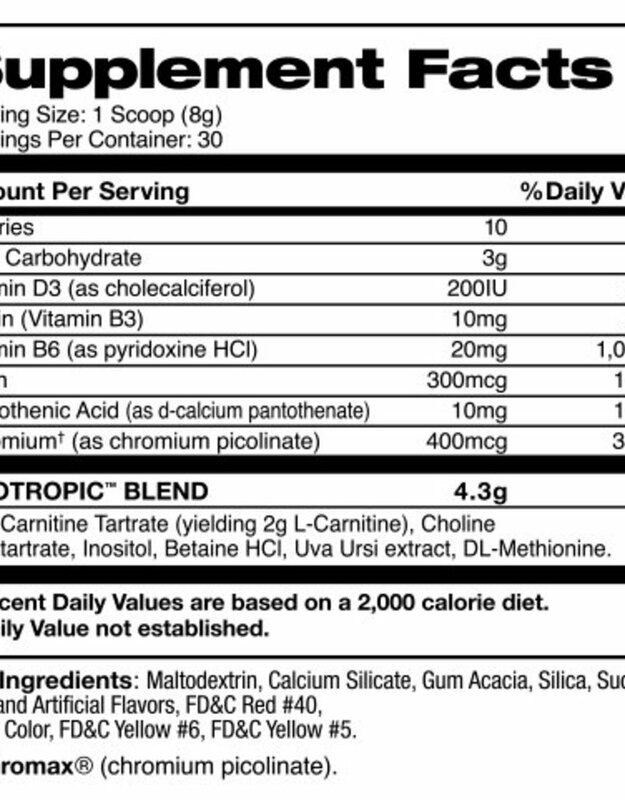 SUGGESTED USE: As a dietary supplement, mix 1 scoop in 10–12oz. of water 30 minutes before your workout. 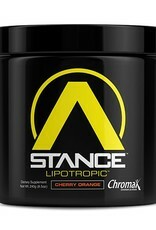 Lipotropic™ is caffeine-free and can be added to your favorite pre-workout beverage.